Michael Christof, Product Management C-Class, presents the most recent innovations of the C-Class…in 60 seconds. 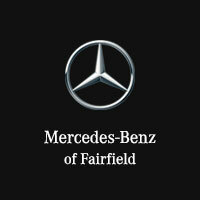 The Mercedes-Benz C-Class, is the most successful model series from Mercedes-Benz and with good reason. It’s production is constantly upgraded with extensive modifications to continuously improve performance and styling. What do world-class athletes like Roger Federer and the 2018 Mercedes-Benz C-Class have in common? They believe in the credo to “Never Stop Improving.” Following a relentless path to work at getting better every day, they know their work is never done. And their effort must always be at peak level. This is the fifth year of production for the most successful model series from Mercedes-Benz, the C-Class. This year’s model boasts a enhancements to the design on the tail lamps, headlamps and front of the model, which has given it a new, sleeker, nore aggressive look. On top of that, The electronic architecture has been totally re-vamped, and an abundance of feature and functionality has been added. The assistance systems of the C-Class are now redesigned to rival those of the S‑Class. If you’ve been waiting to purchase a new Mercedes-Benz, the 2018 C-Class now provides you with so much value and style, there’s no point in waiting any longer.